Should We Be Reading Maps or Moving Forward? There has been a lot of press recently about an announcement from the Royal Institute of Navigation (RIN) declaring that “Society is being sedated by software,” and it would appear that most of the media have jumped on board, like the BBC, The Guardian, even the Western Morning News. I have to agree with them to a certain extent, but there is a little part of it that grates on me, though. It could be that I am an “Electric Map bloke” (not my words but those of my wife explaining my job), but the whole article seems a little backward-thinking—I mean this as no disrespect to RIN—I know many of their members, and I look up to all of them. But it reads as a little against technology. Satellite Navigation Systems (Sat Navs) are predominantly used by drivers; there are still very few users of the walking routes navigation. Go on, ask your average 8-9 year old how to get to the shops, and they may well start up Google Earth or some kind of online mapping system; they may even get directions but they won’t touch the navigation mode. Furthermore, how many young adults take a map with them when they are hiking or travelling nowadays? You will find that most young adults carry a spare set of batteries for their device rather than a paper map. Oh, and the argument about signal? Ever heard of offline maps or network navigation (not as accurate but good enough if you are stuck in the middle of nowhere)? We (Geographers, Map Makers, Data Scientists, etc.) have pushed to develop technology that can actively support and inform people. We should embrace it, and, rather than complain about modernisation affecting techniques, we should make those using the technology to be more educated about it. Did the world of geographers complain when Royal Mail gave each house a postcode, removing the need for coordinates to find a house? No. The fact is we still read maps; we still use coordinates; in fact, location data is increasing in our daily life: Esri (one of the world’s largest geospatial software suppliers) stated that over 80% of data has a geospatial element. The fact is that using a digital map is more efficient. You can zoom in for more detail, obtain coordinates, and even send them; there is the ability to overlay different schemes (OS, Google Earth, Bing, OSM basemaps) so that you can get a better understanding of where you are; and from personal experience I must say that a mobile device won’t fly out of your hand as easily in the middle of a windy field or go soggy and smudge in a rain storm (my device is waterproof). GIS needs to be taught in schools. This way children will need to handle coordinates, deal with geospatial awareness, and learn the geographical interaction of everything around them. Rather than teaching map reading, we should be teaching data collection to develop the next generation of cartographers, GIS experts, and data scientists. Location data is in almost all data businesses handles, so let’s ensure it’s the best data! Let’s give more children availability to mobile mapping and get them treasure hunting and playing location-based games more. We need to change the medias focus to make maps cool, have annual competitions open to younger people, and have more discussion in the media on why traffic issues are occurring. Using Ordnance Survey road network data (open source), children can analyse better routes and solve navigation issues. More 3D!! Let’s get children thinking more about the world they live in and how it is represented. They see false 3D environments in video games, so let’s bring that interest to representing the real world. Get them to make a house in Sketchup; it will take two minutes before they realise that it needs a location to appear in Google Earth and that 3D features need parameters like height! RINS is kind of right: as we have developed and improved these amazing mapping systems on the internet and mobile media, we have forgotten to educate the new wave of users and developers. I think we need to take a different view on it though. Location and navigation are vital parts of geography, but then so is the translation. Technology is all around us, and we will struggle to get someone to use a paper map: it’s a little like your dad bringing a Sinclair Spectrum 48k to a gaming day at your friend’s house. One of my fondest memories in the last year was making a treasure map with my children, 6 years old and 8 years old. This was not some school homework; no, my son said that he wanted to make a pirate map. For a change, instead of wiping teabags over paper and putting it in the oven, I opened my computer and started up QGIS. After I made a folder with some map data in, I showed them both the simple functions and left them for a couple of hours. Consequently two weeks later we went to London to visit Big Ben, where my son had “hidden” the treasure on the map he made. I got cornered by an acquaintance the other day (who knows that I am in geomatics and use GPS/GNSS); he said that GPS is killing our kids sense of geography. Yes, I would agree that it can shortcut the skill of dead reckoning as we would have had to rely on in days past, and that the folded map we used to have to pour over for long periods of time to get anywhere (I wonder how many accidents were caused by folks staring at a static map while driving) that map may look alien to them. Is that a bad things? Not really; I sense that “these children we spit on as they try to change their worlds” (pardon the Bowie lyrics) are leapfrogging some of the legacy machinations and geo-skills to actually gain a broader and deeper geo-awareness. Skeptical? 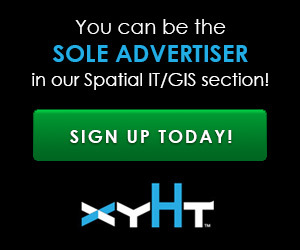 See how 3D savvy they are, how comfortable they are with the collecting of geospatial data (if we can overcome the legacy definitions thereof), the ability to dig into global geography – and make use of it – instantly and in the palm of their hand. If anything, the ability to be able to view nearly any part of the world from street level imagery can dis-spell misconceptions folks have about other parts of the world, and how amazing our world is. It is important for there to be highly skilled professionals to maintain essential skills and resources; but that many of the mundane tasks can be leapfrogged means that this new wave may build upon them and develop new and wonderful geospatial solutions. Customers are not as nostalgic as many of us in the legacy geo fields.